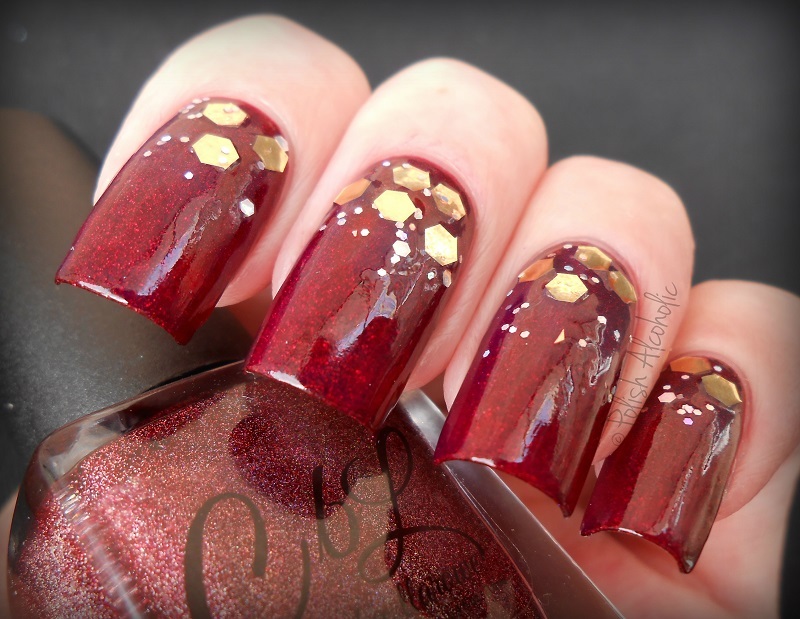 Last year I fell in love with The Mighty Red Baron by Llarowe. This Valentines I fell in love again but this time with the darker version of TMRB called Love, Actually. Same awesome formula and gorgeous depth as TMRB but a darker hue of red. This is two coats. Amazing! Just for fun I sponged on some When Monkey’s Fly by OPI. This is part of the limited edition Valentines Trio. I’m not sure if it’s still available. If I were Leah Ann I’d definitely add this one to the permanent collection. I bet this is (going to be) super popular. LOVE! 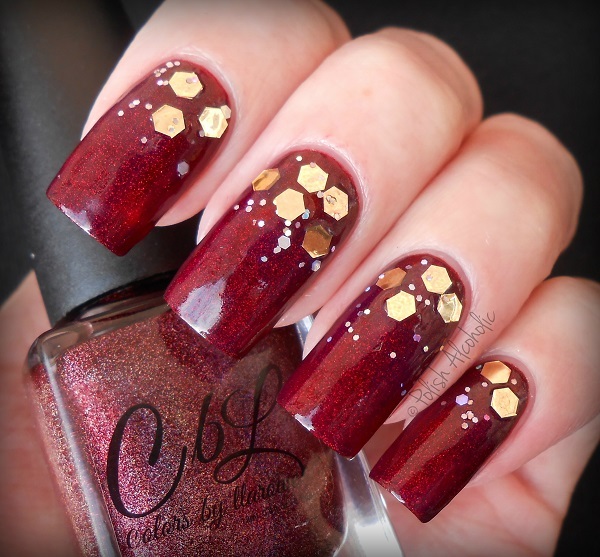 This entry was posted in Indie and tagged cbl, colors by llarowe, indie polish, llarowe, love actually, review, swatch, swatches by Polish Alcoholic. Bookmark the permalink. Really great mix you did there with the gold and red. This would have been perfect for my sister’s wedding. I’m still upset that I was too late for this gem. It’s so stunning! 😦 Bummer! I really hope that this will be added to the permanent collection and you can get your hands on it!